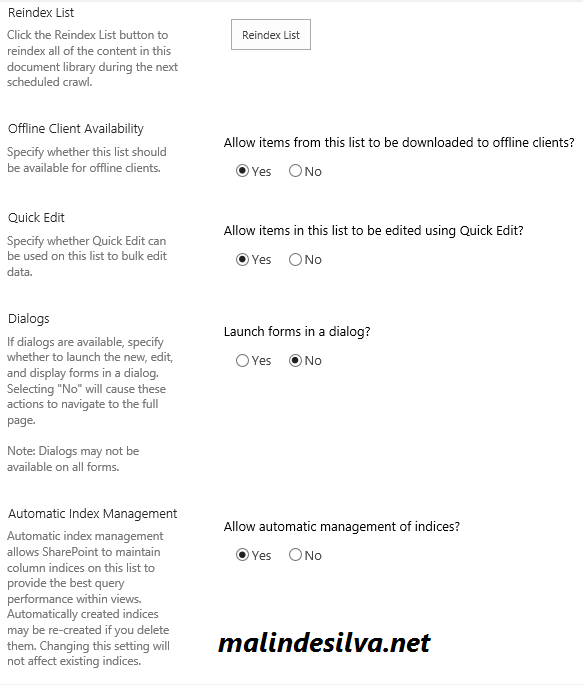 You can review this setting available as Automatic Index Management, under the Advanced Settings Section of the list settings. Even though this is enabled from the settings here, it actually starts it process when the list item count get higher than 2500. 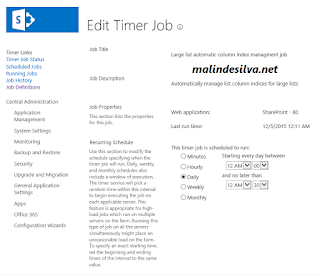 There is a new timer job associated with SharePoint 2016 that is named "Large list column index management Timer Job". 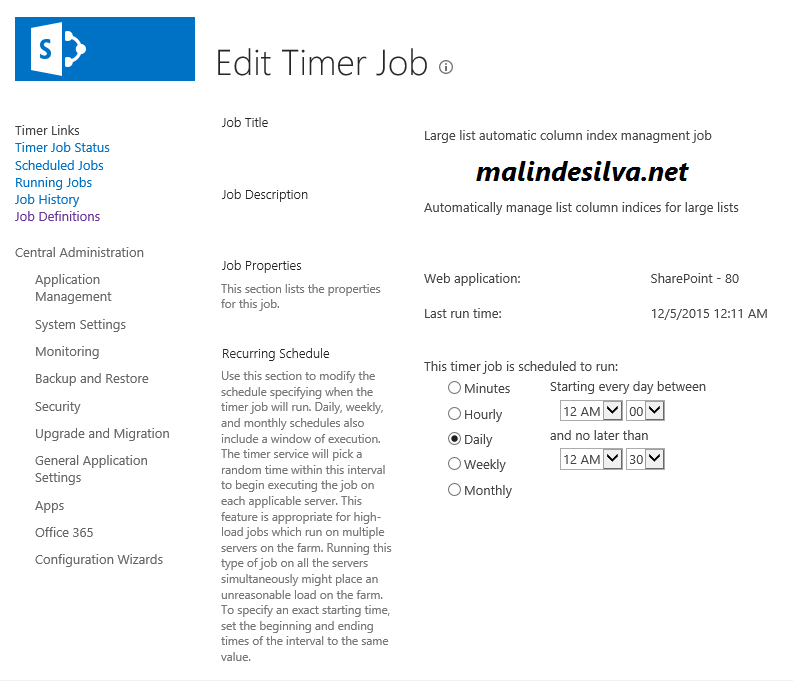 This job is by default set to run daily and automatically creates indexes on the views for the lists that have more than 2500 items. This will ensure you will have a higher performances when the items are queries and rendered as views or accessed through the code. So, Is Threshold values gone? NO! This does not mean the threshold values are gone. 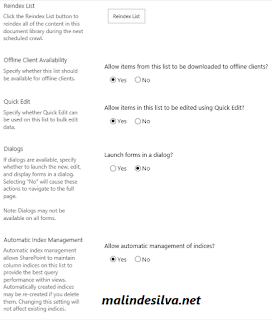 They exists as it is and configurable per each web application if you go to Resource Throttling under the Web Application General Settings section of the Central Administration. The numbers remain same and you can specify a "happy hour", a time window for running larger queries on lists under a particular web application.